It’s Christmas Eve. Time to reveal the winner of the £500 cash jackpot. Congratulations to the owner of calendar 843! We hope you’ve enjoyed our first advent raffle, thank you to everyone who’s bought a calendar and helped spread the word to the lucky winners. Keep checking back here for more events and opportunities to help us help the local community. 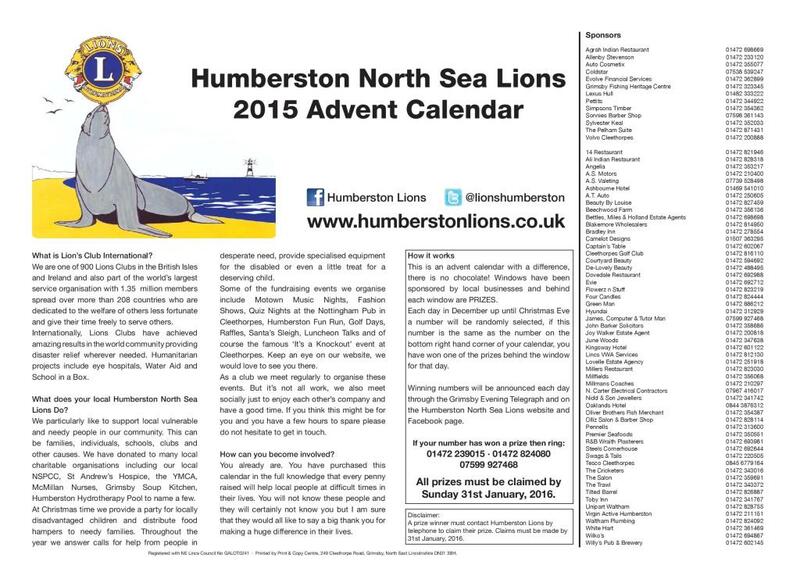 Merry Christmas and a Happy New Year from all of us in Humberston North Sea Lions. Could you be a winner in our first ever Advent Raffle? All you need to do is check the number on the bottom right corner of your calendar against the list below and then call any of the phone numbers on the back of your calendar to claim your prize. 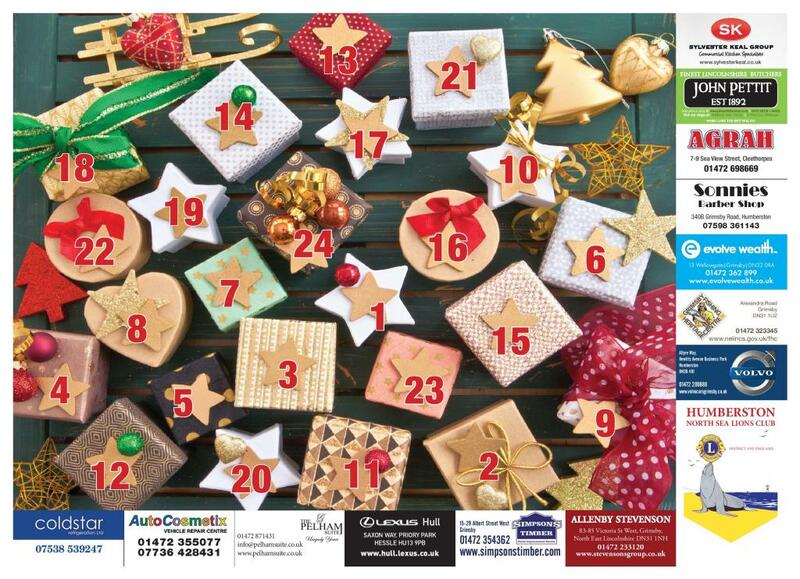 Each window in the Advent Calendar for every day in December has at least two brilliant prizes. These prizes are valued at over £2000 in total plus the star prize of £500 cash. 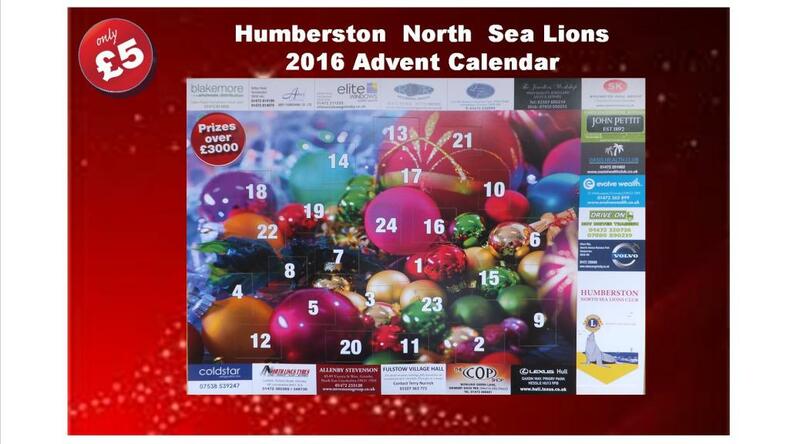 Just check the winning numbers for each day on this website or in the Grimsby Telegraph – if they match the number in the bottom right corner of your calendar – you’ve won!! !